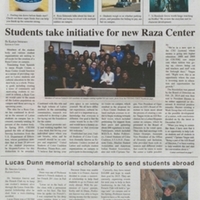 Volume 43, number 9 of The Cougar Chronicle. 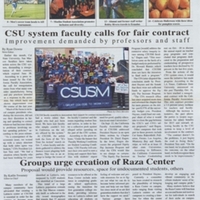 The issue is a Black History Month Edition. 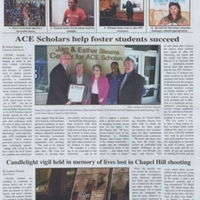 Other topics include the announcement of ACE Scholars and a candlelight vigil for students killed in Chapel Hill, North Carolina.